At the end of the Sea Front of Carrer la Mar we find the river mouth of the dry river, which forms an extensive beach that he invites to the bath and to the skin-diving. In this zone, at the end of the S.XIX, there was constructed the first shipyard, germ of an important fishing industry which vestiges live still in the Fishermen's Confraternity. *Animal-friendly area open throughout the year. In addition, close to the beach you can find the pet park. 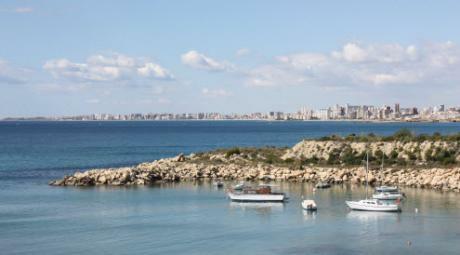 The longest beach on the town's coastline, it has two contrasting landscapes. The first is a sandy beach with pebbles and crystal clear waters. The second is a little further north, leading into Burriana beach, and is made up of rocks and posts, ideal for fishing from the jetty. L'Estany Natural Park, declared a Natural Beauty Spot in 2004, is situated in La Alcudia, home to numerous native species and a stopover point for flocks of migrating birds that visit us every year. Beach marked out with small posts, a mixture of compact golden sand and shingle. 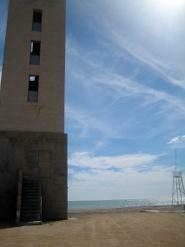 The Nules lighthouse divides the beach into two sections. This urban beach of golden sands and tranquil waters owes its name to the Count who inhabited the tower that is to be found at the end of the beach. This urban beach of golden sands and tranquil waters owes its name o the Count who inhabited the tower that is to be found at the end of the beach. Located on the left side of the Marina of Campoamor, it is an accessible beach with excellent services and facilities. The open layout of this beach allows practicing water sports. There is a large and crowded promenade as well as a wide range of leisure and hotel services. 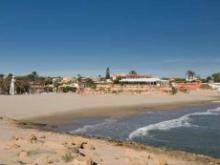 It is a sandy cove located in the residential area of La Zenia and easily accessible via the N-332 road. Is it protected by a cliff that protects it, and from where you can enjoy wonderful views over the sea and the Orihuela coastline. 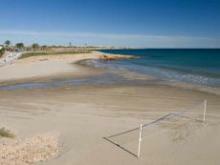 A beach cove composed of fine sand with all the services for leisure use. This sandy beach has an accessible point staffed by lifeguards that help people with disabilities to take a bath. The accessible point is equipped with a bathroom with shower and adapted clothing booth, amphibious chairs, shadow area with umbrellas and a wider than usual central gateway that provides access to the beach for wheelchairs. A quiet Mediterranean cove of fine golden sand sheltered from the swell. Nearby you can find many restaurants, where you can taste delicious dishes. 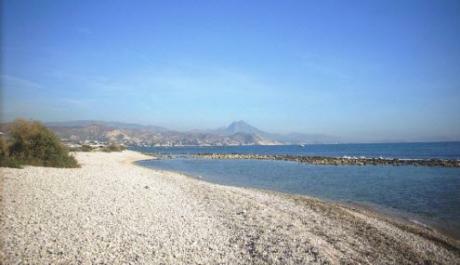 It is one of the five accessible beaches of the Orihuela coastline. A beach cove composed of fine white sand, located in a semi-urban area with high-density population in the summer time, it is currently being provided with all the facilities necessary.